Some customers want to invest a concrete batching plant, but they didn’t know what equipment they need and how to arrange in pairs of different equipment. So today, CamelWay Machinery will introduce the collocation between different concrete mixer and concrete batching machine. In fact, the collocation is not randomly, and it has certain provisions. If you choose a right group, the output would be increase, but if you choose a wrong group, there would be some troubles in process. If you just need a JZC Series climbing bucket concrete mixer, you wouldn’t need a concrete batching machine. 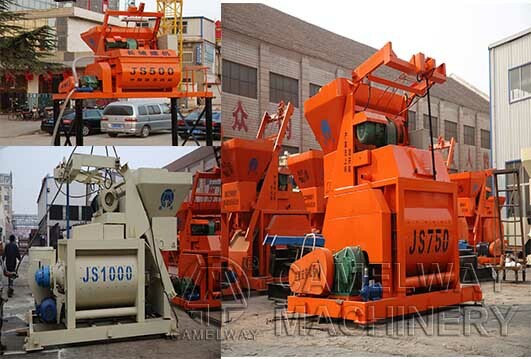 But if you use JDC series or JS series concrete mixer, you would need concrete batching machine. And generally, JS500 and PLD800, JS750 and PLD1200, JS1000 and PLD1600, JS1500 and PLD2400, JS2000 and PLD3200. If you have any question or suggestions, please leave a message or call us, we will be glad to service you. 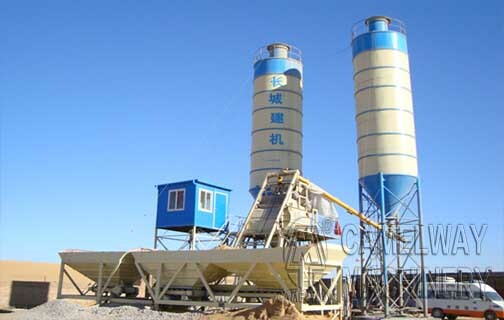 And CamelWay Machinery produce all kinds of concrete mixer and concrete batching plant, and we have a long experience in China, so we have unique skills to produce high quality equipment. If you want to know the certain price of devices, please contact us, we will reply you as soon as possible.